Antonio Bhardwaj is a successful leader and investor with over 28 years of expertise in building businesses. Antonio Bhardwaj is published author in area of strategy, economy, trade and technology. Antonio Bhardwaj is a subject matter expert in energy, natural resources, retail and public sector verticals. Antonio Bhardwaj has been involved in several mergers & acquisitions, which has over the years given him a strategic edge in his successful career. Antonio Bhardwaj is a executive board member for Global International Sellers and an Executive Vice President & Chief Information Officer at a TOP SAP Partner. Antonio Bhardwaj is member of CIO forum, CIO & CMO council, Houston CIO’s, CEO Crossing, CIO Summit & Global CEO’s. Antonio Bhardwaj is a member of a highly distinguished professional associations, mean’t for people with distinction, such Dallas Petroleum Club, Crescent Club & Cosmos Club of DC. Serving family and community is most important to Antonio and he strongly believes in: ” Commitment to serve others goes a long way in building in a character.” On weekends Antonio Bhardwaj spends time serving food along with his family. 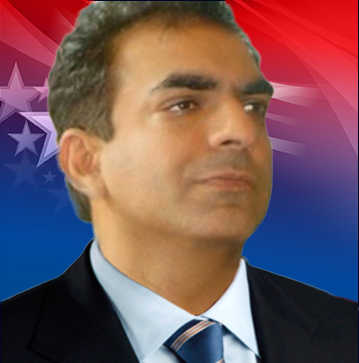 Antonio Bhardwaj is a candidate for U.S Congress.